Perfect for commercial environments or for an intimate and compact bistro set in domestic settings, the design of the Panama Range is based around simple functionality with stylish appeal. Both the table and two armchairs are hand finished with lightweight, powder coated aluminium frames that will remain rust free and are a cinch to move around and reposition. 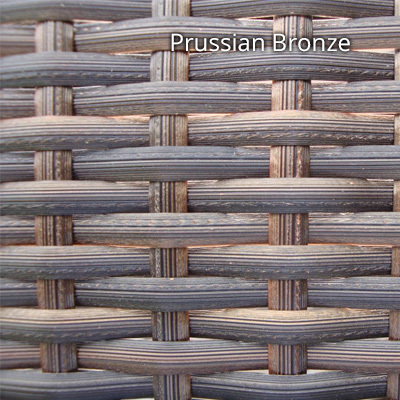 The Prussian Bronze colour of the flat rattan weave is vibrant and neutral enough to compliment a broad range of outdoor spaces. The glass on the table top is tempered for regular use with both the table and glass being pre-cut with parasol holes. A machined aluminium plug is also provided. The outdoor rattan is manufactured by ViroFiber to the highest quality standards. 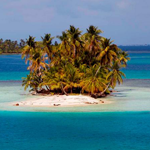 The fibres are pre-tested for suitability across a wide range of outdoor temperatures and for use alongside all types of water – including chlorinated and sea water. Harmful elements like Lead and Cadmium are not used during manufacture and all raw materials are 100% recyclable. The colours are vibrant and the fibres stabilised against fading, cracking and splitting.